The brother of slain Bell Gardens Mayor Daniel Crespo has filed a wrongful death suit seeking $50 million in punitive damages against Crespo's wife, who allegedly shot her husband during an argument. The 45-year-old mayor was shot Sept. 30 at the family's condominium in the small Los Angeles County city. Authorities say Crespo's wife, Lyvette, 43, shot him multiple times after he punched their 19-year-old son, Daniel Jr.
Crespo's brother, William Crespo, filed the lawsuit on behalf of his mother, and said at a news conference Monday he thought the killing was planned. He claimed Lyvette Crespo would frequently provoke her husband and threaten to kill him, because she was jealous that he was unfaithful. 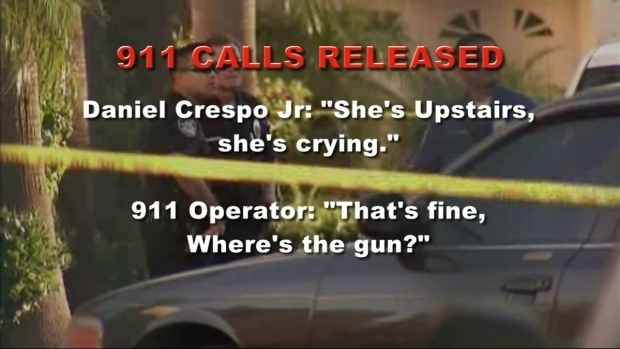 Emergency 911 calls obtained by NBC4 Tuesday, Oct. 7, 2014, reveal the panic that followed the fatal shooting death of Bell Gardens Mayor Daniel Crespo at the family's home Sept. 30. "She said she was going to divorce my brother when the kids turned 18," William Crespo said. "The kids turned 18. My brother went and he got himself another girlfriend, and she got jealous and she was holding it all inside. I guess she just let it all out and killed him." The night of the shooting, Daniel Jr. called 911 and told the dispatcher his mother "was defending herself" when she fatally shot her husband, according to a recording of the call obtained by NBC4. "My parents got in an argument, and there were shots fired," he tells the dispatcher, later saying "It wasn't my mom's fault...She was defending herself." Wife of Slain Bell Gardens Mayor "Cooperating Fully"
The suit, filed on behalf of Crespo's mother in LA County Superior Court, alleges that Lyvette Crespo had threatened to kill her husband many times and used an unwarranted amount of force to kill her husband, concluding that she "is a cold blooded killer." Lyvette Crespo should have called 911 before shooting her husband, and breached her fiduciary duty to him by killing him, the suit alleges. 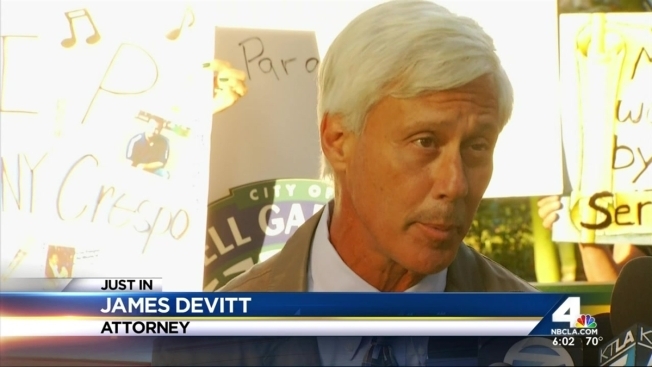 William Crespo's attorney, James Devitt, called the mayor's relationship "turbulent," showing a text message at the news conference that supposedly showed the Bell Gardens mayor demanding his wife stop threatening to "shoot me in d head!!!" The Bell Gardens community gathered to remember slain Mayor Daniel Crespo after he was shot and killed at the hands of his wife as the investigation continued into why those shots were fired. Beverly White reports for the NBC4 News at 11 p.m. on Friday, Oct. 3, 2014. "Daniel was no angel…obviously he had a bit of a zipper problem," Devitt said at the news conference, held in front of Bell Gardens City Hall. He continued: "In California, you cannot use deadly force against non-deadly force. You can’t just shoot people five times because they’re having a bad day." After the shooting, Daniel Jr. and Lyvette Crespo were questioned by police for several hours, but both were released that night. Lyvette Crespo remains free as authorities investigate the shooting. Lyvette Crespo's lawyer told NBC4 he would respond to the new allegations made in the lawsuit Tuesday morning. He has described Lyvette Crespo as a longtime victim of domestic violence, but her brother-in-law says the allegations shocked him and he feels conflicted about what happened. "He loved (his family) more than life. He loved his wife a lot, he always loved his wife," William Crespo told NBC4 earlier this month. "If it was that, she should've called 911. She shouldn't take matters into her own hands. 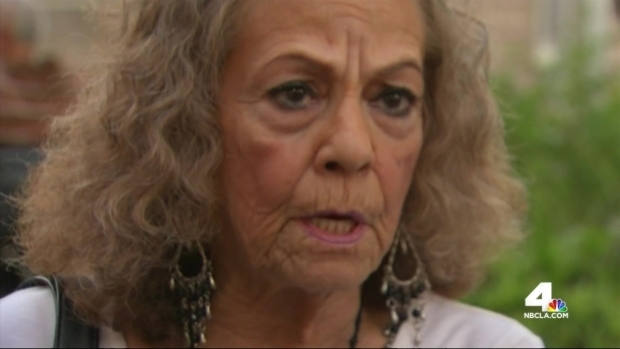 She's not the cops," Crespo said in a separate interview. "I love her; I still love her. She's still my sister-in-law; I'm always going to love her."